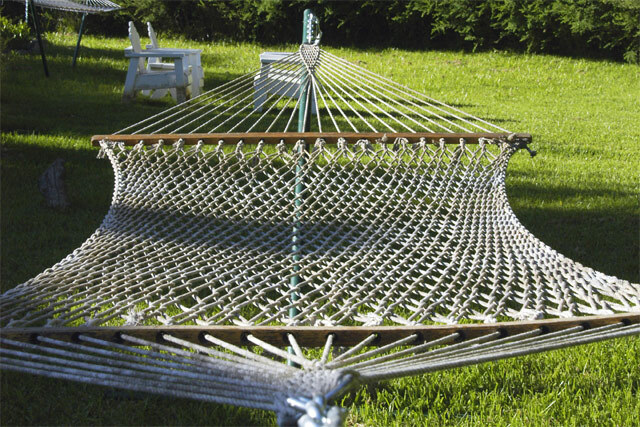 Hammock: Welcoming, beckoning, in the midst of the resort. Retreat Resort + Spa, Guerneville, California. Snapped on: May 22, 2004.